Green Jade Games, MRG Group’s in-house development studio, has recently released their first slot ever in the form of Hammer of Fortune. The game is a 6×4 slot that has gone live with MRG flagship brand Mr Green Casino before it’s set to be rolled out to a much larger market. The game features Brin, a hero that has been tasked with saving his town from Gunnhild and her rock troll army. Players will move through the story to discoverer if the hero, along with his friends Astrid, Papa, and Barrett, has the power and conviction to beat Gunnhild and save their village. Hammer of Fortune features a hammer that changes per every spin, and is used to knock out symbols, which can give them a second chance of triggering free spins and cash pots. 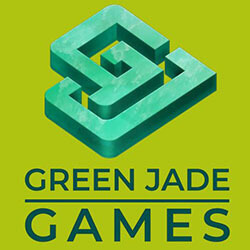 Green Jade Games managing director Benedict McDonagh has told reporters that Hammer of Fortune is ideal for the introduction of their games into the market, with its main focus on entertainment through storytelling, as well as the giving players control when they smash the symbol. He added that they were proud of the high degree of quality, and the differentiation achieved in the game. 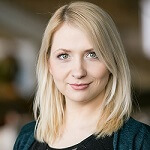 Jacqui Gatt, head of Mr Green casino commented as well, stating that they are thrilled to have launched Green Jade Games with their firs title, Hammer of Fortune. He added that they have already seen impressive reports following the release of the slot.